I'm suffering from a bad case of seaside nostalgia. 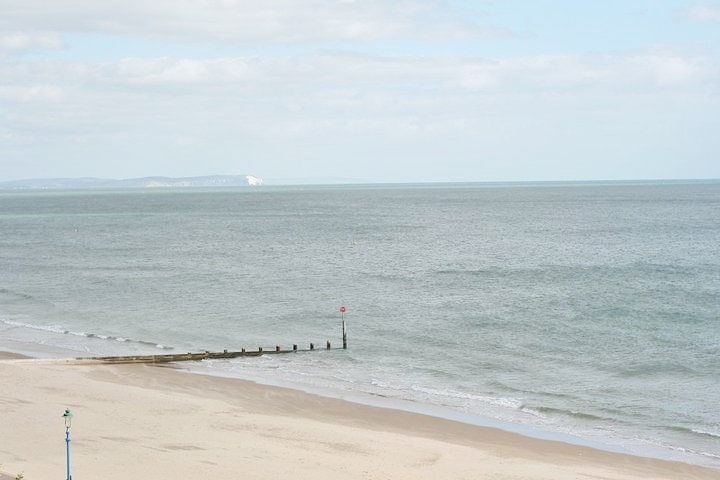 Bournemouth is definitely a seaside town you need to visit; believe me I've been, and have the photographic evidence to prove it. 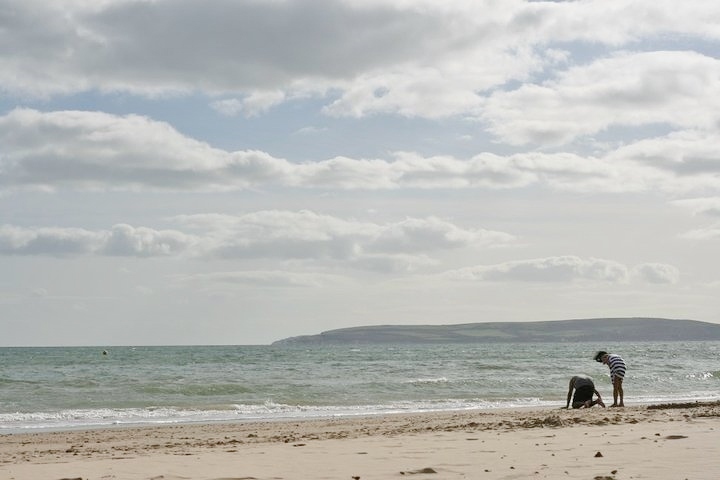 This british seaside town boasts seven miles of sandy beaches, a vast array of shops and restaurants, as well as an array of hotel and holiday accommodation to suit all budgets. 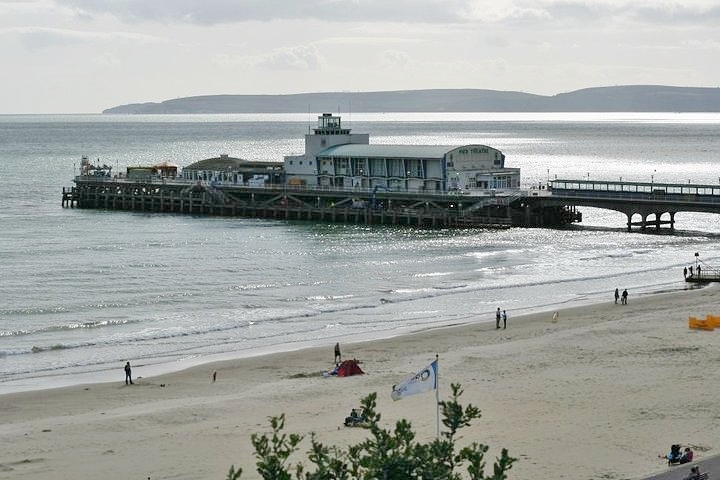 We for one stayed in the Premier Inn in central Bournemouth with prices starting as little as £40, which is perfectly situated for a leisurely stroll to the seafront and pier. 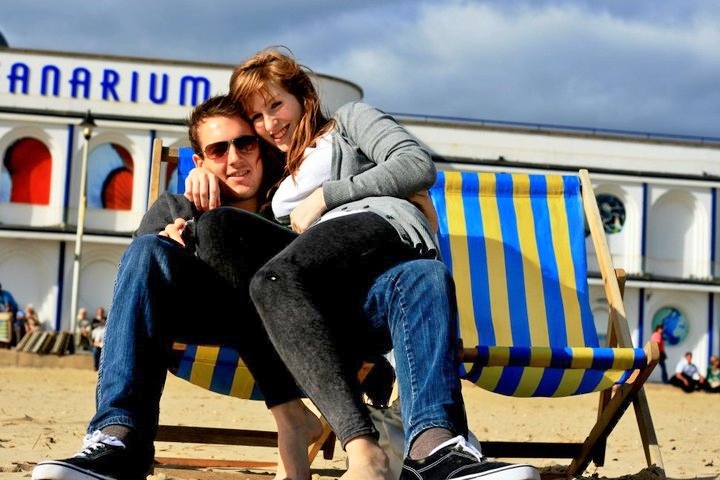 With typically British striped deck chairs available for hire, or cute pastel coloured beach huts dotted along the promenade to visit, rent, or even just pose in front of and take pictures, it's definitely up there on the list of seaside towns you must visit in the UK. 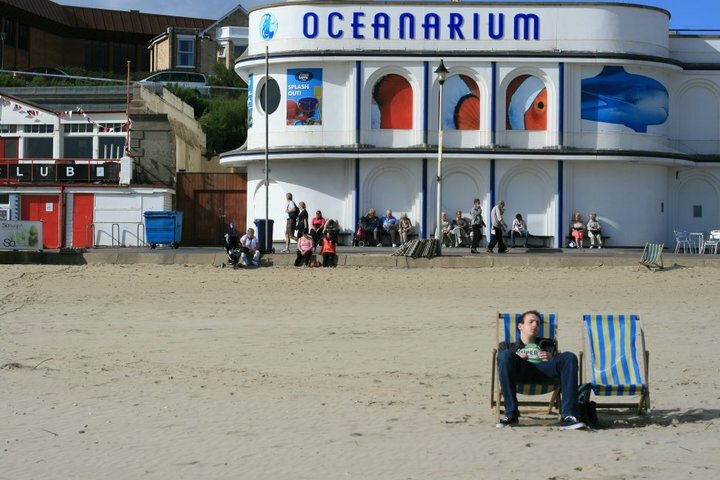 It's even ranked as 3rd out of 12 for the best seaside towns to visit in the UK, voted by the The World Travel Guide, with Margate in Kent top (still one I need to visit), and Brighton - a close second place with an enviable charm and atmosphere - clearly a lack of sand hasn't stopped it's chance of ranking! You can even locate (and not to mention rent!) 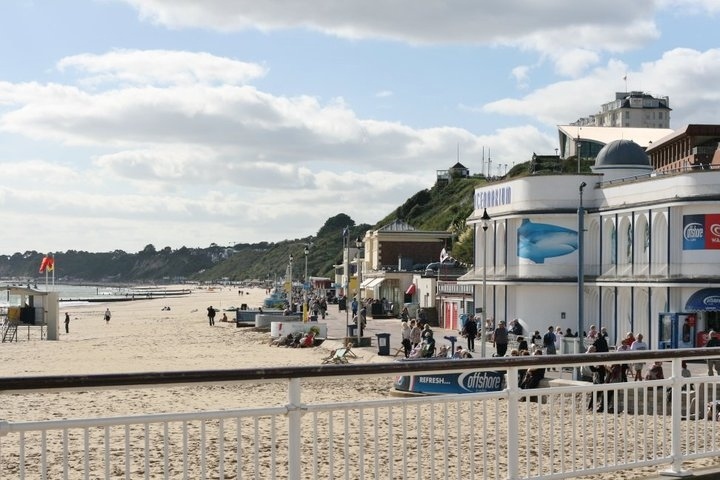 the oldest beach hut in the world here in lovely little Bournemouth. I've always wanted to stay in a traditional, Britsh beach-hut. Another beautiful seaside town worth visiting in the UK is definitely the coastal town of Tenby, located in an area of outstanding nature beauty, Pembrokeshire in Wales. If your interested to find out more about one of Wales best coastal towns, check out my blog post all about my visit to Tenby - I promise you won't be disappointed. Why? Because there's a golden sandy beach fit for a tropical island, which proved the perfect backdrop for some beach hair outfit shots too! If your thinking of heading down to Bournemouth, and coming in via Southampton, don't forget to visit the fabulous Monkey World too - an animal lovers dream! Make sure you keep up to date with all my latest fashion, lifestyle and travel updates by following rightupmystreet on Instagram. 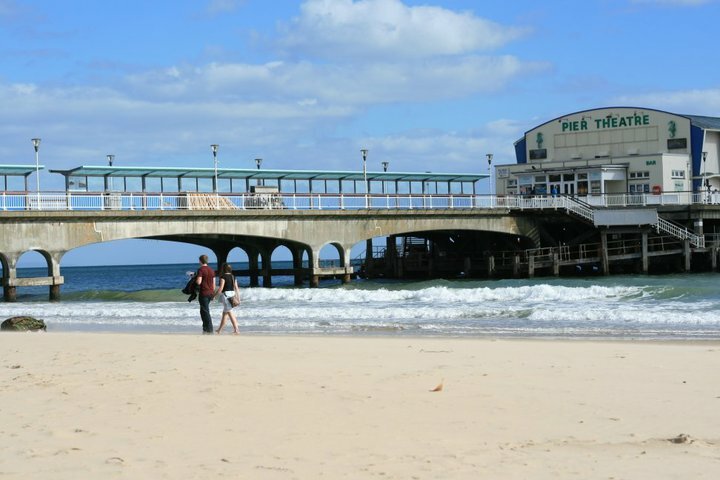 I used to go to Bournemouth a lot when I was younger, so these pictures are taking me back! Loving the photos! Now I have seaside envy haha! 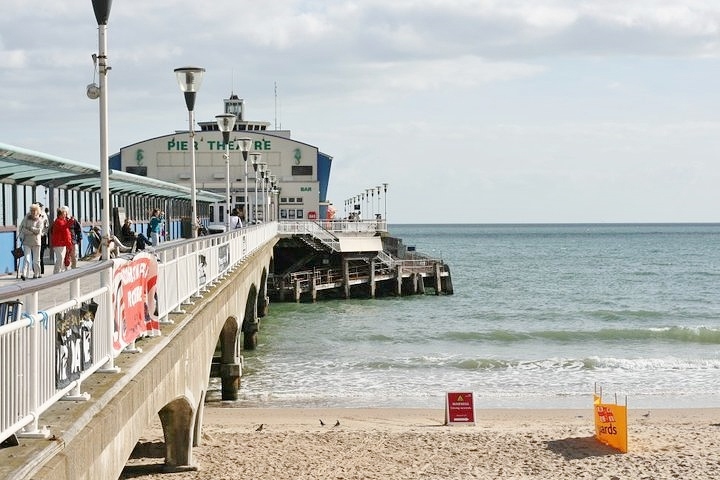 Never been to Bournemouth before *hides face* but it definitely looks amazing so I think I need to add it to my to-do list! 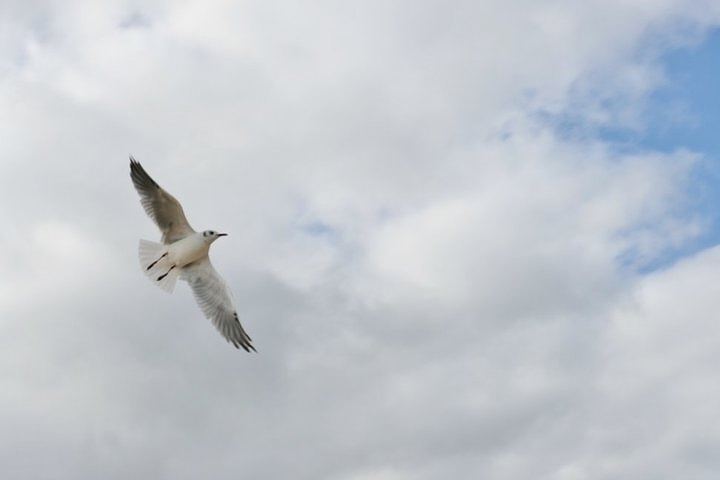 Looking forward to read more interesting seaside posts, as i'm in love with them.